The Christian County (Missouri) Optimist Club hosts an annual event called Safetypalooza. This program promotes bicycle safety to children. The event provides children with important safety lessons for riding bicycle. Every year, children are unfortunately injured while riding bicycles in Missouri and other States. Safetypalooza is an important program that helps prevent serious personal injuries and wrongful death to children who ride bicycles. Helmets are an important component of this and other safety programs. We recommend that parents start children with helmets and make the wearing of a helmet a good habit that is never optional. Whether the child is riding a bicycle in a driveway or for a long ride, make sure that the child wears a helmet. 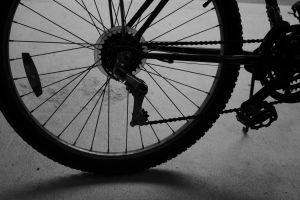 Serious injuries while riding a bicycle happen in driveways and long rides as well. You can read more about Safetypalooza at Kids Learn About Bike Safety in Nixa, Missouri.